RWD125 is designed to be compact and lightweight when rolled up. Constructed from stainless steel, aluminum and UV resistant plastics with integral wire holders to ensure rapid, tangle-free deployment. It can be erected in minutes in either an inverted ‘V’ or positioned without consideration to the direction of transmission, making it valuable in multiple station networks. Typical deployment time is approximately 20 minutes for short (NVIS), medium and long-range communications. 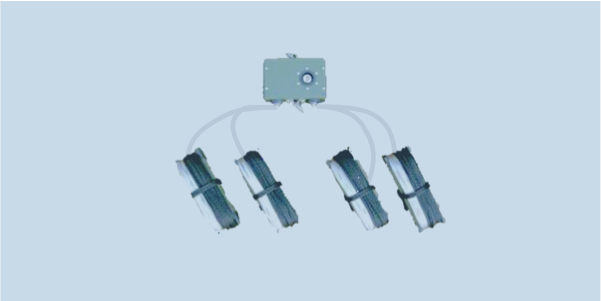 The antenna can be hung from a mast, tree, cable or other means raising the central box 8-10 meters. The STM or RTM mast series are good candidates.